online, the 24/7 on-demand access to information is causing marketers to become publishers. Digital has transformed our agency’s daily operations, the tools we use and how we deliver successful outcomes for our clients. 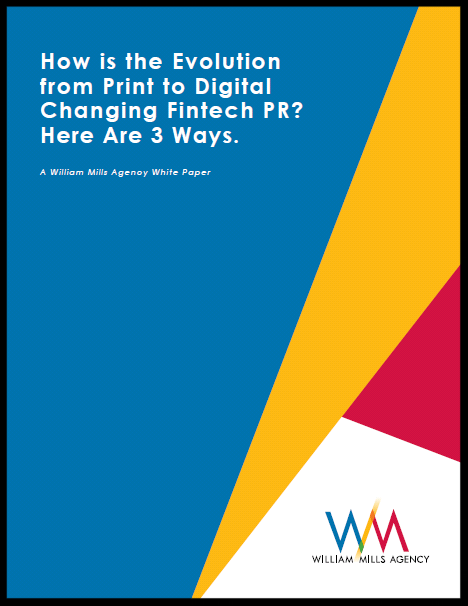 This white paper addresses three digital shifts that have revolutionized day-to-day PR activities, as well as defines what companies should expect from their fintech public relations and marketing agencies in today's digital world.